Things are looking up for football in Bangalore. Over the years, the game here has seen both the lows and highs; the good news now is that it is in its most exciting high phase. New investors are looking forward to Bangalore as a prime location where football can flourish. The Dream United Football Academy was started in Indiranagar. It slowly set up its base in several other parts of Bangalore including Vyalikaval, Sahakar Nagar, Mattikere, Rajarajeshwari Nagar and Kengeri. Basically, it all started out as a social cause for us and we wanted to contribute by doing our bit in developing football in Bangalore. Even our website was called www.dreamunited.org. When we began the journey, we started with a dream for the beautiful sport in the city. Hence the name Dream United Football Academy. With time, football has changed for the better. Football academies and clubs are no longer just sports bodies, teams or coaching centers. They are brands which need to be built. The downside in India is that building a brand in football means big investment for very little returns due to several factors. Thanks to the positive changes happenning with football, the euphoria about the game and the newfound confidence, we, a group of young energetic and old experienced heads have come together and started building football training facilities. We have made a humble beginning by deciding to set up a better facility exclusively for footballers, in Komughatta, off Mysore road. 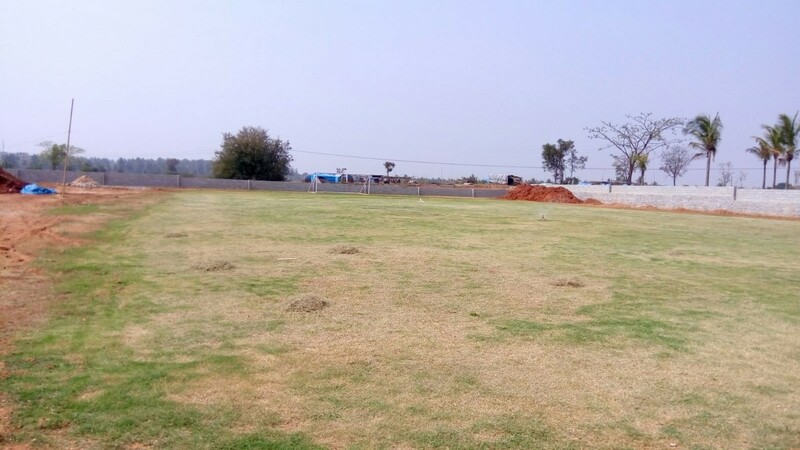 A sprawling 2-acre football-only facility, one of the very few of its kind in Bangalore. The training facility is designed to include a full length natural turf football pitch, a futsal pitch, changing rooms, a gym and swimming pool. The design aspects have been take care with the guidance of some of the top sports consultants in India and abroad. High performance strength and conditioning coaches who have worked with ISL and IPL teams have added their valuable inputs in the design of the gym and swimming pool for rehabilitation and injury management.